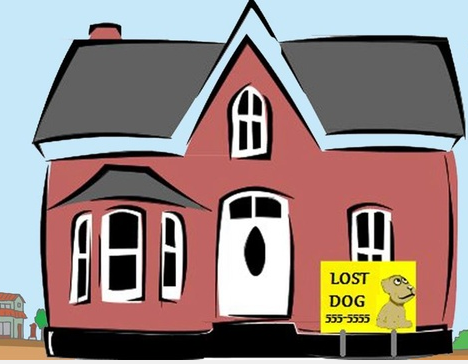 Immediately put a sign in front of your house to alert neighbors and passersby that your dog is missing. If you guessed numbers 1 and 5 you are correct. Finders who proactively look for owners, and dogs taken to the animal control facility, stray holding facility or shelter that serves the area where the dog was lost are the dogs that are most likely to be reunited with their owners. Educating the public about this is a large part of what we do. File a lost dog report and leave a flyer with your local police station and your animal control facility. Do the same for every vet clinic, animal shelter and rescue in a 50 mile radius. (You may need to expand this) Create a paper trail showing that you are actively searching for your dog. This may be invaluable if there is a question about ownership. Quickly spreading the word is the number one way that a small friendly lost dog will be reunited. Get going now! Go to Part 3 of this series by clicking here.